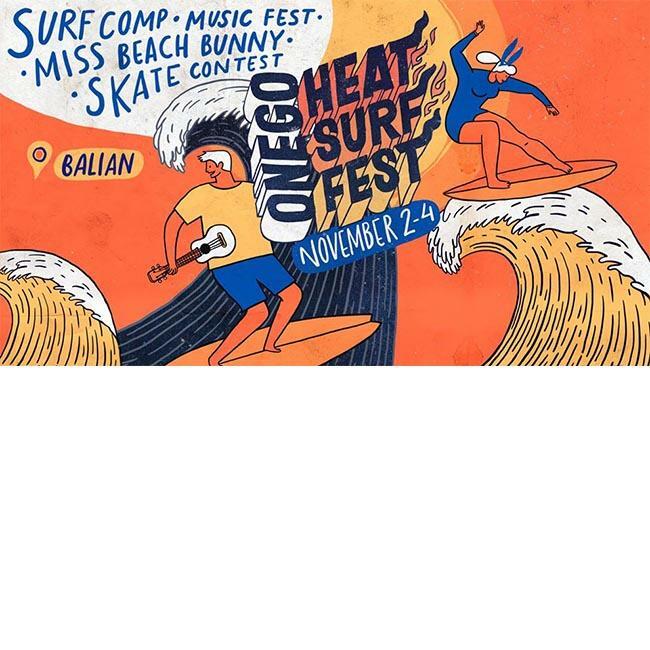 Onego Heat Surf Fest is 3 days of surfing, music and active entertainment on Balian Beach! - Miss Beach Bunny fitness models competition for brave smart girls. - Daily master classes and active entertainment: yoga, beach volleyball, fitness, skate, kayaking and much more! - And of course, we will swing Balian with a powerful music program! Fire festival add a contest Vintage Retro Surf: dress brightly and brightly, in the style of 60-70-80x, the most stylish will be pleased with gifts! We are waiting at the festival not only residents but also guests of the island! Three for Heat Surf Fest will be the most vivid and memorable event of this year, it will be really Hot!